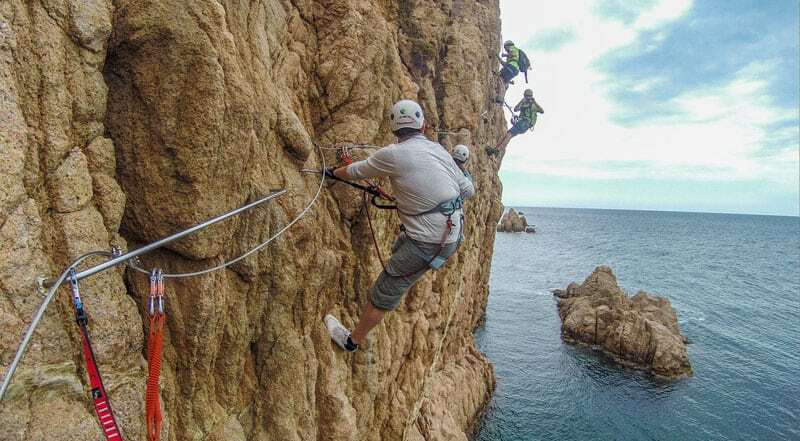 While traveling through the Costa Brava Region of Catalonia, Spain, we heard about a Via Ferrata in the historic town of Sant Feliu de Guixols. 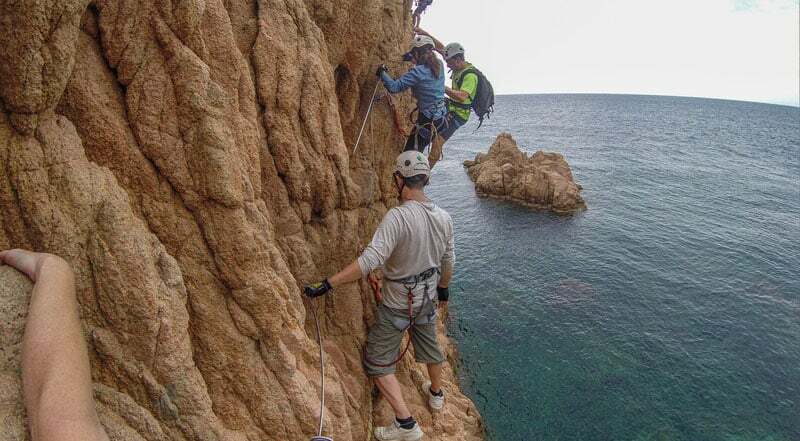 There are some 200 via ferratas in Spain and the Via Ferrata de la Cala del Molî is the only coastal via ferrata in Europe. Have you ever seen those posts that talk about the most dangerous hikes in the world, or the world's most dangerous trails? 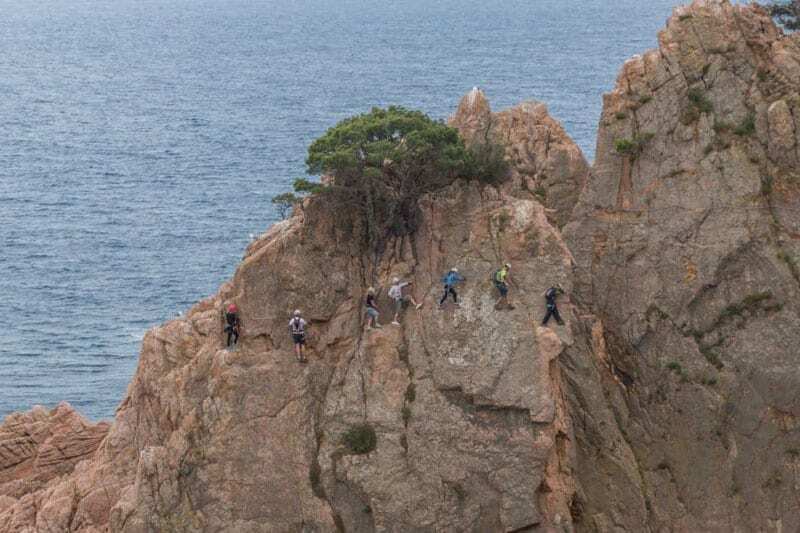 Well, most of them are via ferratas, and while they can feel a bit hair-raising and scary as you traverse mid air along high cliffs, they are not dangerous. But they make for a great headline! Most Via Ferratas in Europe are well maintained and well-travelled. 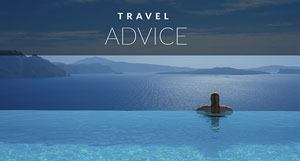 If you have your doubts, hire a guide or tour company to take you out for a spin on the rocks. We took our Via Feratta Adventure with, Aventura Girona. 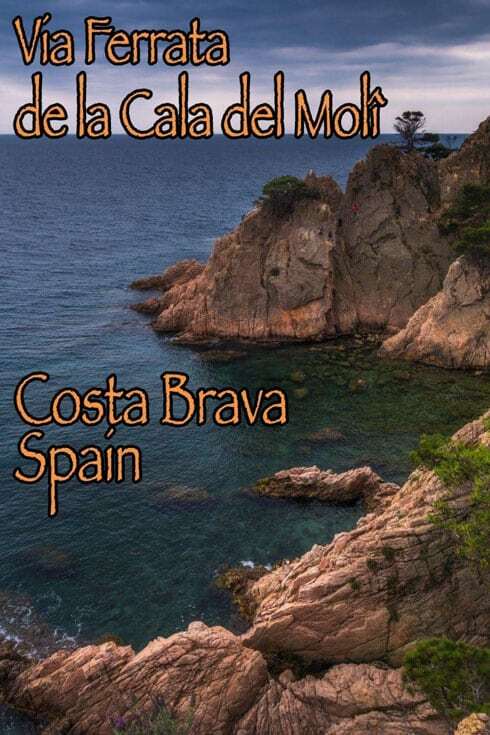 The bus will meet you in Girona for pick up, or you can drive yourself and meet them in the parking lots near Cali Moli in St. Feliu de Giuxols if you are staying in one of the nearby coastal towns. They supply all gear and helmets, and they even take photographs of your journey so that you are fee to concentrate on navigating the high wires and bridges. The Via Ferrata Cali Molî has only been opened for 2 years and it is very popular with the locals and tourists alike. It closed for awhile during the Spanish financial crisis and recently reopened welcoming several groups of adventure lovers each day. The town of Sant Feliu de Guixols is a popular tourist destination along the Costa Brava coastal drive and it's an easy day trip from Girona. It's known for its large monastery and beautiful views and it's worth spending some time here after you finish your adventure on the Via Ferrata Cali Moli. 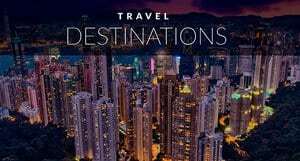 Subscribe to our YouTube channel for more travel videos. A Via Ferrata is the ultimate adventure hike. 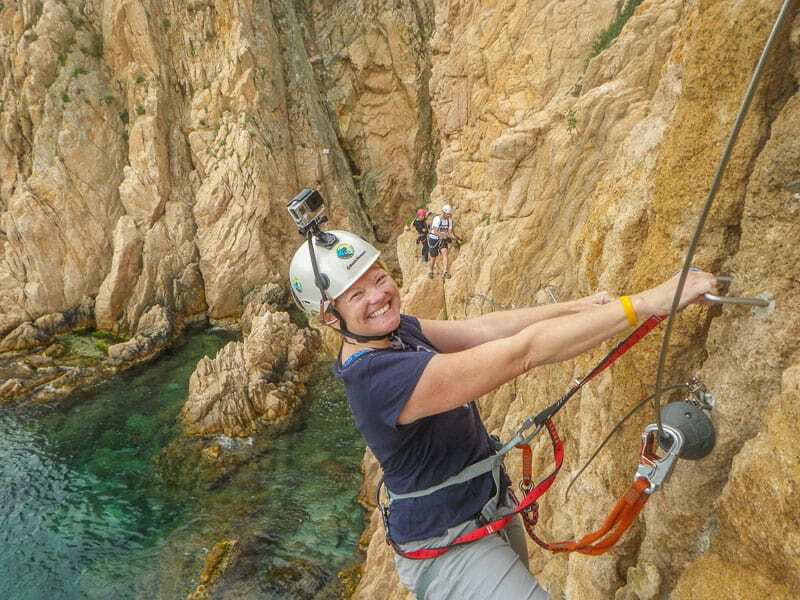 Dangling on what is known as an iron road on high sea cliffs, it offers thrills and outrageous views for the adventure lover in you. The journey takes 2-3 hours of traversing along sea cliffs and outcrops. You'll cross harrowing steel cable bridges, climb steep ladders, and cling to hard granite rocks. 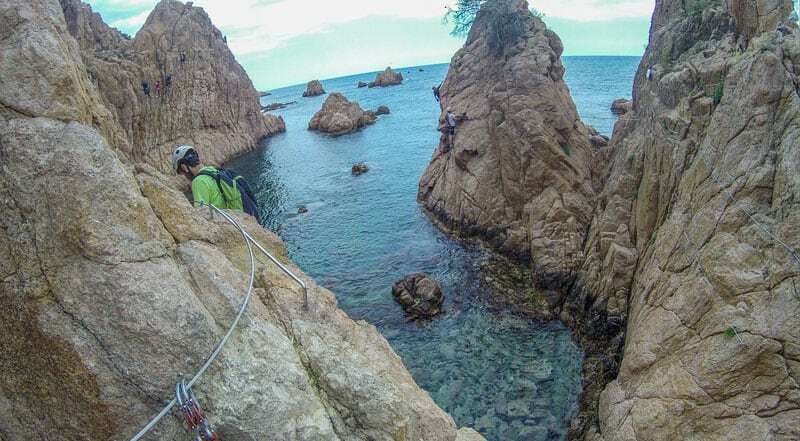 What makes this via ferrata so special is the fact that you are always surrounded by sea. 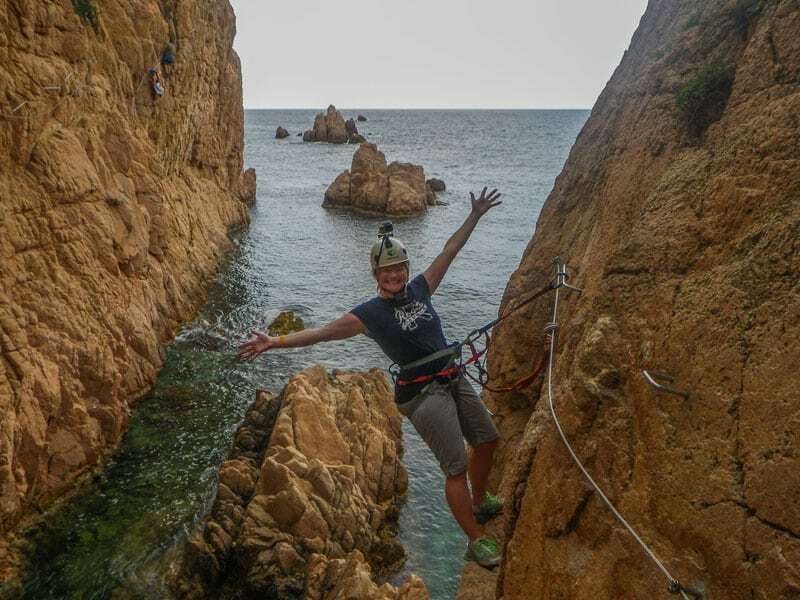 As you pause to take a breath or wait for people to navigate around trickier portions of the climb, you'll be awed by the magnificent Costa Brava Coast. It starts off easy with large handholds and iron grips on simple terrain. Your guide will go over the basics with you and then you are let loose to weave your way through the obstacles ahead. The first section of the via ferrata is low and there are lots of holds and then as it weaves in and out of the outcrops it progressively gets more difficult and much higher. This via ferrata is considered intermediate and it's a great introduction. By the time you reach your first bridge dangling above the blue waters of the Mediterranean, you feel ready to look down and enjoy the view. Via Ferratas are quite safe in the fact that metal handholds are bolted into the rock face giving the climber a good grip to hang on while traversing the cliffs. You are clipped into steel cables that are secured throughout the route and you are NEVER EVER not clipped into safety. While walking along the via ferrata, you have two clips that are always connected to the cable. Whenever you have to move ahead or avoid and obstacle, you unclip only one and clip it into the next section before unclipping the next. If you concentrate and remember to never unclip to clips at once, there is no way for you to fall. Clips should face out towards you as if they are facing into the rocks, they could hit the wall and become unclipped. If they face out, they would bump into anything that could cause them to move. It's all about redundancy and safety. Even at the highest point, you are safe because you are clipped in. Sure, you're heart may be pounding and you may be thinking to yourself “this isn't normal” but you will be safe and once you are comfortable on the cables, you will settle in, sit back and relax as you enjoy one of the greatest day adventures in travel. So what are you waiting for? 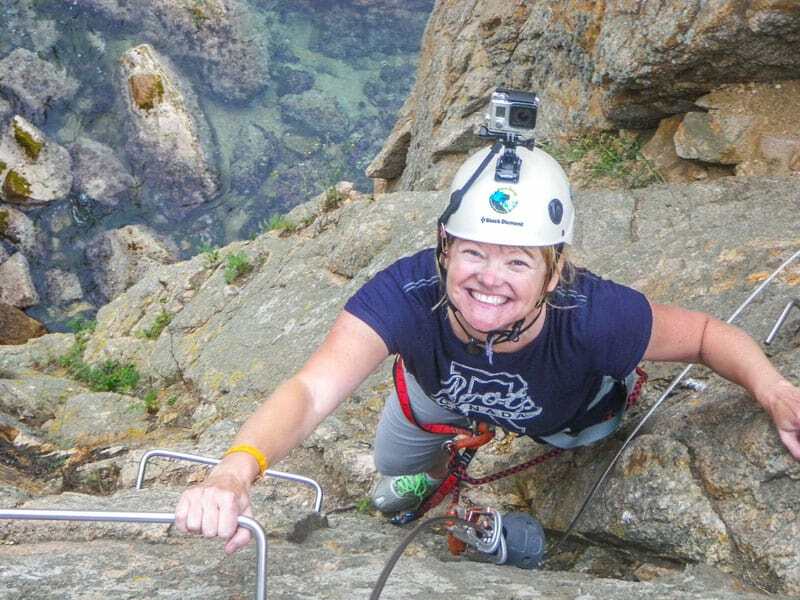 Sign up for your via ferrata on your next vacation. 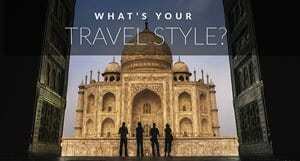 They're gaining in popularity and can be found around the world. To book Via Ferratas in the Catalunya Region of Spain, visit Aventura Girona. 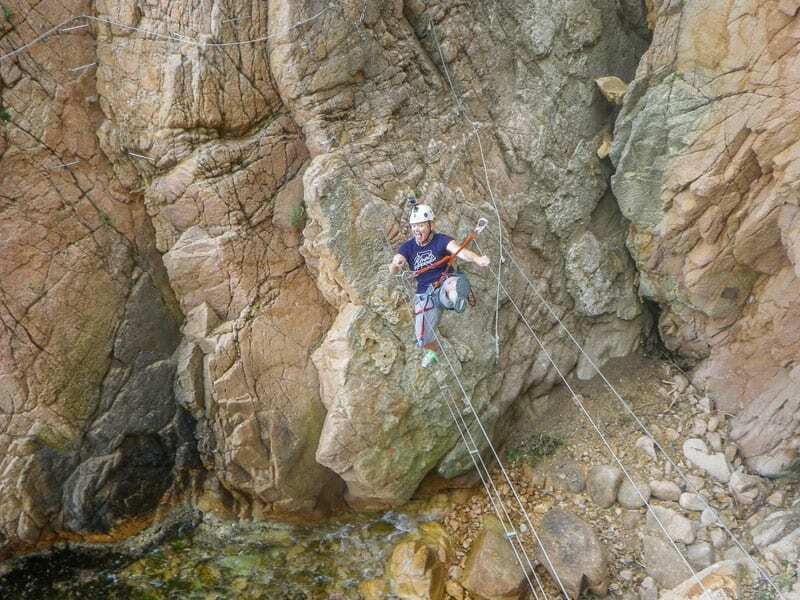 They not only take you to Via Ferrata Cal del Molí, they also visit via ferratas throughout the Pyrenees. Our trip to Costa Brava was sponsored by the Costa Brava Tourism Board. 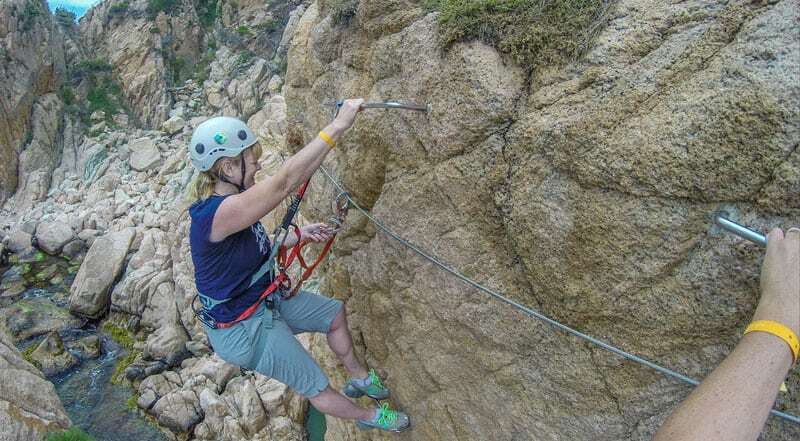 15 Responses to "Via Ferrata, Spain – Take your adventure to New Heights"
Hi. Thought I just might share one useful link for those traveling to or inside Europe and looking for ferrata routes in different states. 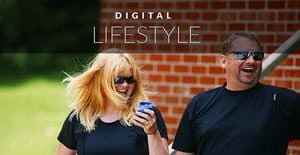 Try Goferrata.com, simple and usefull search engine I came across recently. In my opinion, it has the best layout amongst other similiar services out there and provides very decent database of tracks, mainly those in the Alps (based on Klettersteig.de, they say). You can filter the matches according to difficulty or lenght, which is really nice, especially for beginners or slightly advanced climbers. Nothing really unique, however the user interface is neat and user friendly, which made it the right option for me. Might suit you as well. Thanks for the tip, this will be quite useful for us when we do future via ferratas. Cheers! What a incredible Experience! I bet that was one of those experience you can not forget ever! It was an amazing experience. I’m definitely hooked on Via Ferratas! Such beautiful scenery! and such a great way to see it! We will have to check out via ferratas. That’s if Carolann’s up for it, she’s good at hiking up, but not down lol! Anyways, really enjoyed the post and pics as usual! Thanks for the share. So true, going up is always much easier than hiking down. The great things about this hike is that it starts and ends high. Since the road is at the top of the cliffs, you enter from above, traverse around it and then climb up out of it. It’s amazing. This is super awesome! We are non-competitive, amateur rock climbers and have scaled various crags. But we have never tried via ferrata! This should be very exciting! You would love it. We used to climb a lot, but as you know, when you let it go, you lose your strength. We can still climb, but not like we used to and get a bit frustrated that we are so rusty. 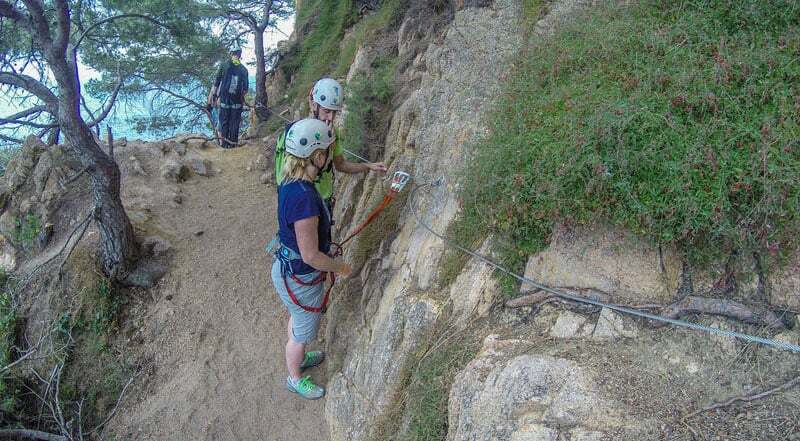 The via ferrata is perfect for those of us that love to climb, but can’t do it regularly to keep our skills up and for those that have never tried rock climbing before. OR even for people that have done rock climbing, but don’t know how to lead or set up top ropes. This way, they can get their workout and adrenaline fix in a much easier and safer environment. We’re definitely wanted to get back into rock climbing though. We’ve only done it sporadically over the last few years and love it every time we do it. But we need a good couple of solid months to get back in action. Sorry but all I want to say is get down. I know what you say is correct about being clipped in but i don’t know. I have heard of via ferrata’s and avoided them at all costs. The irony is I go up ski lifts that are nearly as high. Hypocrisy? Yep. Haha, that’s ok. We all have to do what makes us comfortable. And you are so right. I’ve been on ski lifts that are way higher than via ferratas. Going over deep valleys on a lift can be hair raising. But I can understand how you feel, on a lift you are sitting and they are moving for you. A via ferrata can be a little intimidating with just small footholds holding you up. The best thing anyone can do is to sit back on the clips right away to get the feel that they will hold you and for you to feel safe hanging in mid air. Once you get over that, it’s all gravy. It looks cool to do rock climbing but I am afraid of heights & I have a weak knees! Okay, I have so many excuse but I’m not closing my doors to try it. Maybe someday I will do it if I have that enough courage in me. No worries Kristy. It’s not for everyone. But if you ever feel like trying rock climbing, a Via Ferrata is a great start. You can always try high ropes at an adventure park to begin. That’s a great way to get your feet wet. I would so love to try this! I have done zip-lining so I don’t image it would feel any less safe than that. As you say, redundancy, redundancy. YOu are so right! A lot of via ferratas end with zip lines even. If you can find one that has a zip line it’s the best of both worlds! Hope you get the chance to try.